Abstracts may be one or two pages in length; they may include figures and graphics. An abstract template, in MS Word format, can be downloaded here. A TeX template is available here, but please restrict abstract to two pages in length. Please rename the file to so that it starts with the presenting author’s last name. 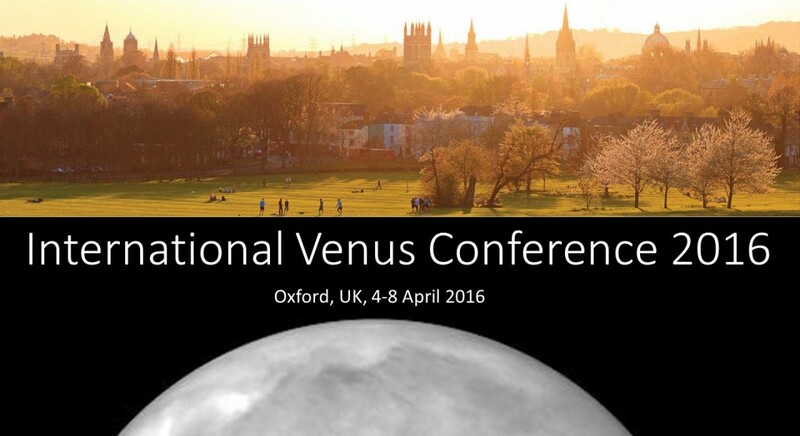 The abstract should be e-mailed, in either DOC or PDF format, to abstracts@venus2016.uk. The revised abstract deadline is 12:00 UT on 29 Jan 2016. Preference for poster presentation, or oral presentation, should be stated in the body of the e-mail to which the abstract is attached. Those applying for early career scientist support should state this in the body of the e-mail to which their abstract is attached. We aim to notify authors of abstract acceptance on or around the 12 Feb 2016.